I spent 28 years in the food sales and marketing industry starting at an entry level position and progressed upward as opportunities allowed. From retail sales to executive VP managing national food clients and corporate grocery customers. In 1995, I partnered with an independent Grocery Sales and Marking Company based in San Antonio Texas. Together we opened an office in Dallas with one national client and grew the business over the next eight years to exceed $300M in annual sales. That combined with the growth in the San Antonio and Houston office the company had a combined annual sales of $900M. During this same time in the year 2000 I and two other executives created ACW Holdings, LLC and later RLGH Holdings, LLC which is the financial arm to 16 successful Sonic Drive-Ins in the metro Atlanta, Georgia area to central Georgia. After selling my interest in Advantage Sales and Marketing in 2005 and my wife and I retired to our lake house on Cedar Creek Lake. This afforded the opportunity to fulfill a life time desire to create a second career in Real Estate. Besides my Grandfather owned Avery Real Estate in Oak Cliff, Texas from 1930-1960. 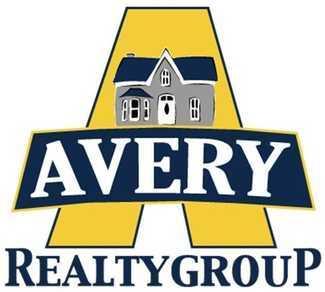 After acquiring my Real Estate license in 2009 and teamed up with my son Richard J Avery Jr. (RJ) to create Avery Realty Group. RJ manages the parent office in Forney, Texas while I opened the branch office in Gun Barrel City in 2010 which I manage today. I Spent 28 years in the food sales and marketing industry where I basically started at the entry level and progressed upward as opportunities arrived. In 1995 I partnered with The Crystal Company in San Antonio, Texas to open an office in Dallas Texas with no real business. Under my direction we grew the Dallas business to over $300M is annual gross sales. In 1999 we joined Advantage Sales and Marketing, LLC to form and be part of a national concern. This was driven by the direction of the industry. The food industry both manufacturers and grocery chains where moving to go national and wanting to create one point of contact. In December 2005 I made the decision to sell my shares in the company and Semi retire. In January 2001 my partner and I signed a 5 store three year development agreement with Sonic drive-ins. This agreement included purchasing the property, building the stores from the ground up, recruiting employees, training and management. We have an active partner in the business who manages all the day to day activity. We currently have eight stores in operation located in central Georgia. In 2005 entered into a joint venture and purchased 156 acres in Costa Rica which is currently in the development stages.